As I watched President Dalton’s cabinet debate enacting the 25th Amendment, I mentally put the names and faces of Trumps’ cabinet onto the actors playing the corresponding roles in the show and wondered how they would act. Are these the faces of people who would say no to Trump? 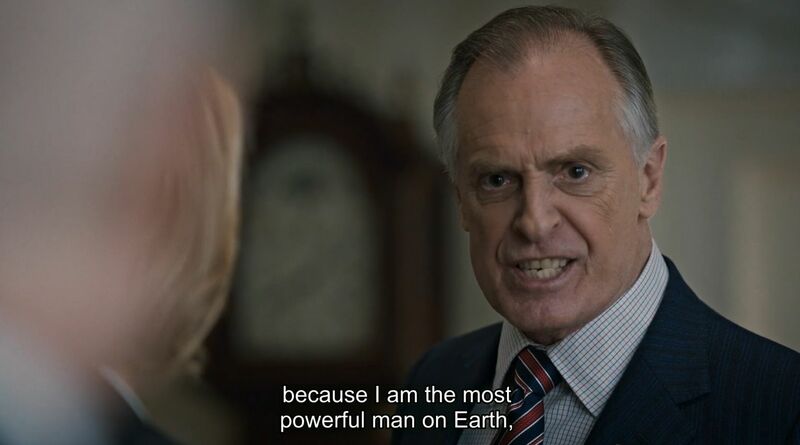 The Madam Secretary writers used a serious physical medical problem to explain the behavior change in President Dalton in order to sell the story. However, in our universe Trump’s behavior is NOT an aberration from his earlier behavior. 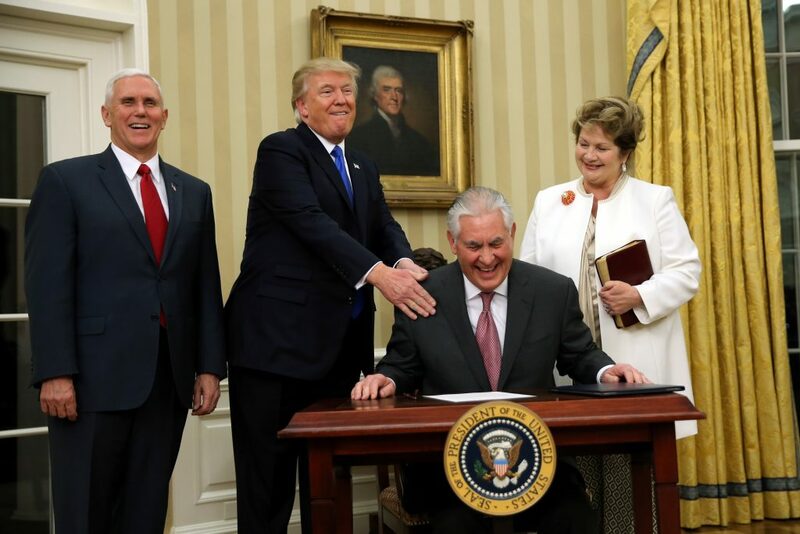 President Trump’s behavior in office is like his behavior before he took office. The bullying, lying, flattery, bribes, threats and legal tricks he used in his “deals” won’t necessarily work when dealing with an unpredictable leader of a nation-state with nuclear weapons. Trump’s business failures didn’t lead to the death of millions, just his multiple bankruptcies. What would it take to convince Trump appointees that his twitter strategy against Kim Jong Un in North Korea won’t work? An ACTUAL nuclear attack? We already know it has increased tensions. The show focused on getting a doctor to evaluate the physical and mental health of the president because his behavior was out of character. On the show finding a physical reason for the behavior gave the President’s staff an excuse to stop him from acting on his out of character behavior. Tuesday’s announcement from White House physician Dr. Ronny Jackson said, “President Donald Trump’s overall health ‘‘is excellent’’ and he did ‘‘exceedingly well’’ on cognitive screening.” This report will be used by the White House as proof to the public Trump is fine. But remember, this is an incomplete snapshot in time. It might also be inaccurate. I’m hoping Trump takes the Gunn Challenge and he is weighted and his height measured publicly. Think of it as asking for a long form girth certificate. 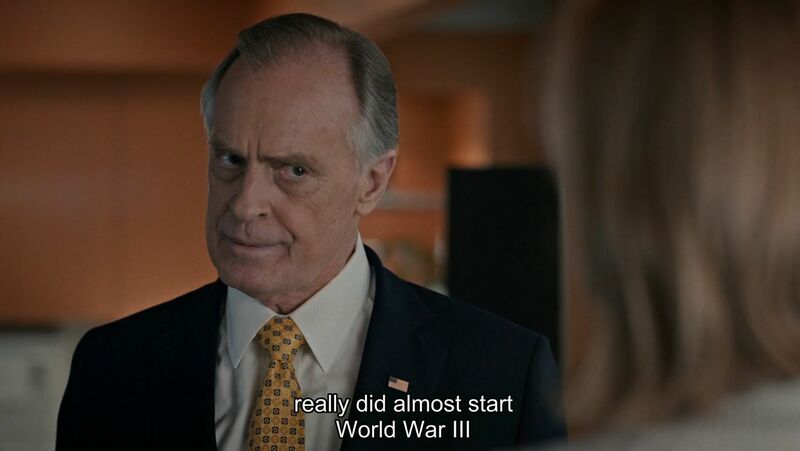 The show ends with President Dalton realizing he was acting like a madman who could have started World War III over a misunderstanding. He then praised the people in his Cabinet who voted to remove him for the good of the country. 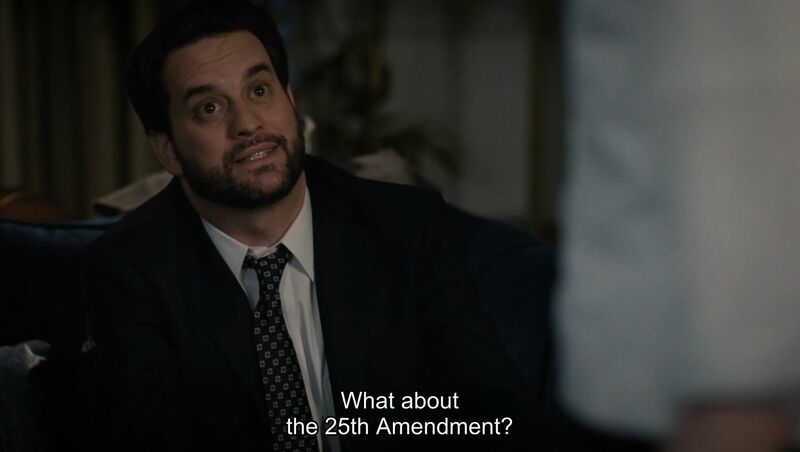 This episode reminds us that the constitution gives us a framework to deal with a President who has become mentally or physically incapacitated. It also gives us the option of impeachment if the conditions for 25th Amendment aren’t met at this time and the President is seen as unfit. First: Hawaii Rep. Tulsi Gabbard should become a cosponsor of H.R.1987 – Oversight Commission on Presidential Capacity Act introduced by Rep. Jamie Raskin (D-Md.) in April. 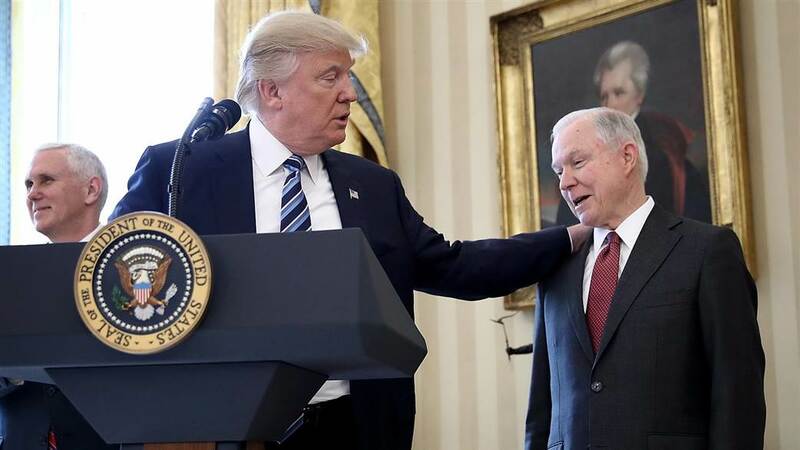 The 25th Amendment might still be needed, especially since health changes in a 71 year-old with a bad diet and serious stress can happen rapidly. Second: Reintroduce H.R. 6535, The Nuclear Sanity Act It was put forth by former Rep. Alan Grayson in December 2016. Third: Create multiple opportunities to put elected officials on the record with their support for Trump. This can be useful after indictments come down. We need “What did he know and when did he know it?” markers. Politicians are slippery, and the press gives politicians multiple chances to “walk back” a comment. This is where regular people can help. Get your politician on the record at Town Halls supporting Trump and his actions. Those comments will be very useful this November. 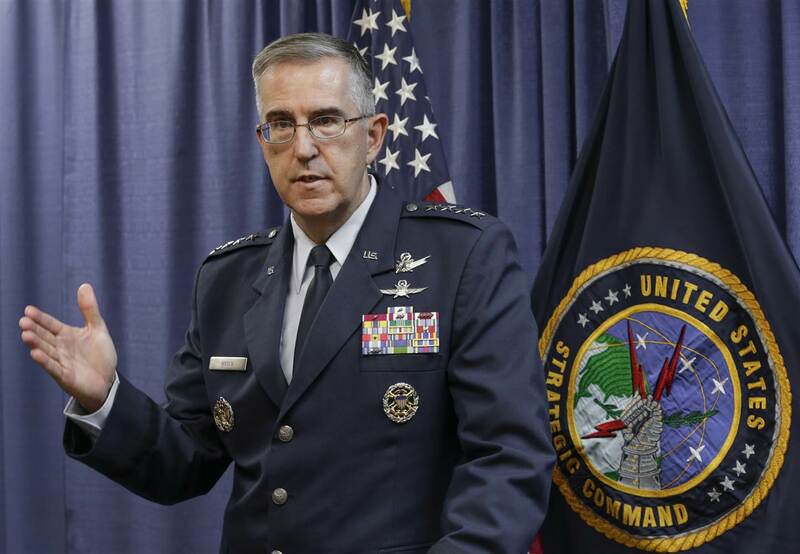 If you watch TV and are interested in who would launch (or not) if Trump wants to push “The Button,” you should know about Air Force Gen John Hyten. Wellerstein points out in this CSPAN interview that Hyten and his legal staff would be the ones to tell Trump about the legality of a nuclear strike. Hyten is also the one that would launch the weapons. Wellerstein notes that it is dangerous to only use legality as a reason when using nuclear weapons, since the US has not made using nuclear weapons illegal. White House lawyers can create an argument to justify a nuclear attack. After Saturday’s false alarm I’m hoping @Wellerstein has been advising congress and is being booked on cable TV shows. I’ve suggested him as a guest to friends doing podcasts and radio, but if you are in the industry, check out the whole CSPAN clip, it has excellent information and analysis. In a world where a reality TV host has become the most powerful man on the planet, it may seem strange to look to fiction and science fiction for answers, but the “What if” potential of these shows provide a truth we can’t always see. 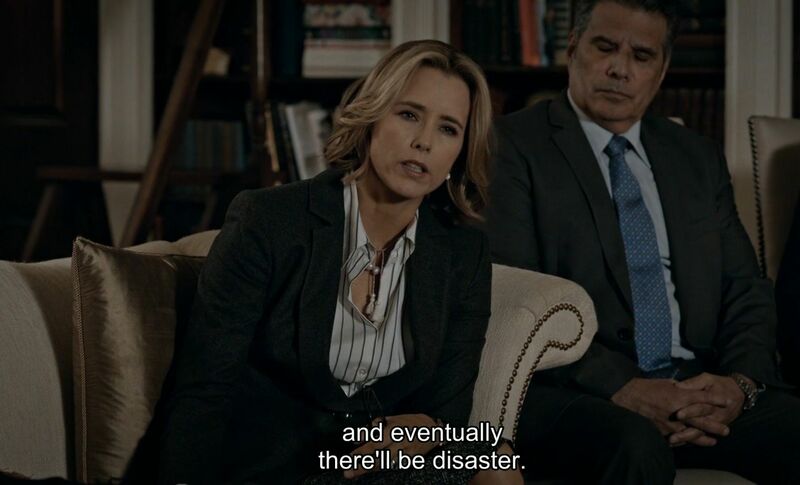 Madam Secretary is set in a fictional universe and, like Star Trek’s universe, it is an aspirational one. Roddenberry envisioned a future where we can learn from our past and find a path forward where we don’t always use violence to solve our problems. That is a future I want to live to see.